What a fab find this great set from Cross! The Bailey Black laquer Ballpoint Pen and Red Leather Pouch makes a superb gift for that someone special, or perhaps just a littel self indulgence, well we are worth it are we not! 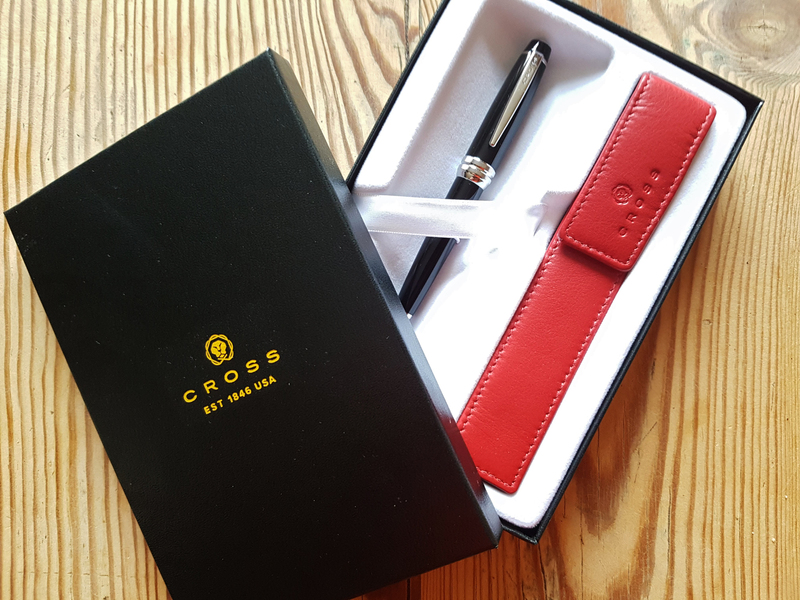 Definitely designed with an eye for detail, this fab pen from Cross is sleek and modern, yet stylish, timeless and beautiful. Well balanced, with specially formulated Cross ink, this fab pen flows flawlessly dor a superior writing experience. Beautifully presented in a lovely gift box, this stylishly designed pen not only comes with a wonderful red leather csrry pouch it also boasts a lifetime guartantee, making sure it can be enjoyed for generations to come. Just click here to get your hands on this very special Cross Bailey ballpoint Pen and Pouch, gift set currently £55 at John Lewis.